Ok, let’s start with a little ad hoc series about travel tips. They are all from my point of view, from an art & food loving person who travels with her husband, friends and sometimes even with her parents – but without kids. Wherever I go, I try and see as much of the local culture as possible. I combine tips from guidebooks, suggestions from other bloggers and travellers and add to that a little bit of exploration of my own. I’m not one to spend huge sums of money – but I’m willing to invest in a good experience. So at the end of the day, I pick hotels at locations that are central and convenient, restaurants that I want to try (and not those that offer special discounts) and sights I want to see. So keep this in mind when following my footsteps! Let’s start with Singapore, given that I’ve written quite a few blog posts about the lion’s city in the last couple of days. The Intercontinental (80 Middle Road, Singapore 188966) is in a great location and has very spacious rooms. I love the colonial style, great service and extensive breakfast. The Park Royal on Pickering (3 Upper Pickering Street, Singapore 058289) is great too. Amazing and award-winning green concept and amazing design, but the rooms are smaller (with dark wood) and the queue for breakfast on a weekend is insane. Personally I skipped the Orchard Road and Chinatown – I can shop and visit Chinese temples anytime I want in Hong Kong. 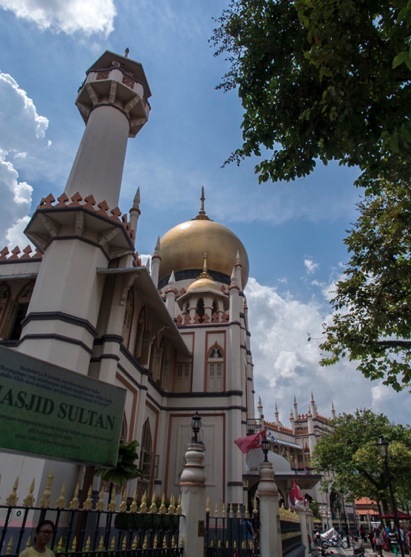 Instead I explored Kampong Glam and Little India. 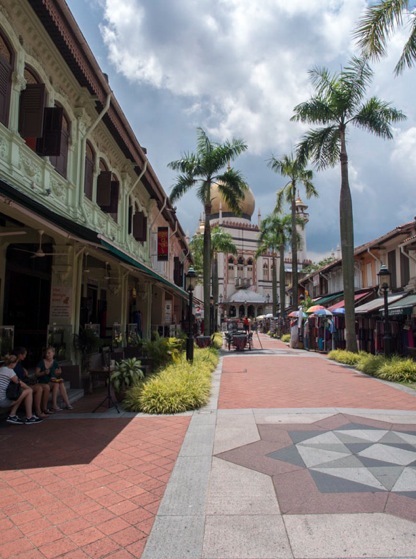 In enjoyed walking west to Serangoon Road where you’ll find shop after shop filled with dazzling fabrics, spices and flower garlands for offering at the temples. Pick one up and head over to Sri Veeramakaliamman (141 Serangoon Road), a Hindu temple topped with a stunning variety of colourful carved figures. 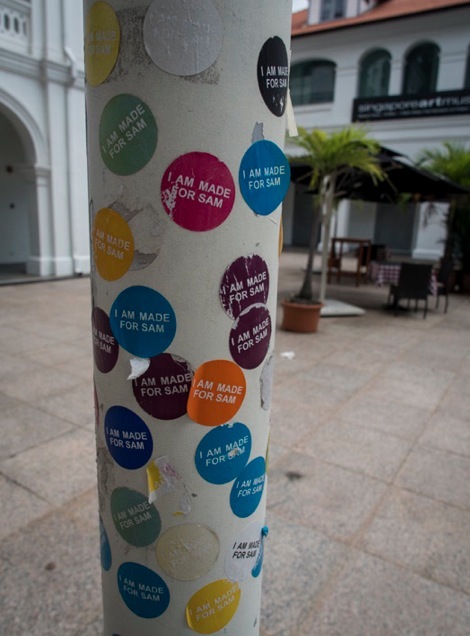 Visiting museums is a favourite past time on mine – and for me the best museum in Singapore is SAM. Not just because my cat is also called Sam, but because I really enjoy the mix of artworks displayed at the Singapore Ary Museum (71 Bras Basah Road, Singapore 189555). It’s visual, it’s audiovisual, it’s interactive – and it can be very colorful but also very stark with only black and whites. I really enjoy visiting SAM and if I could only pick one place to see in Singapore, you know where to find me! 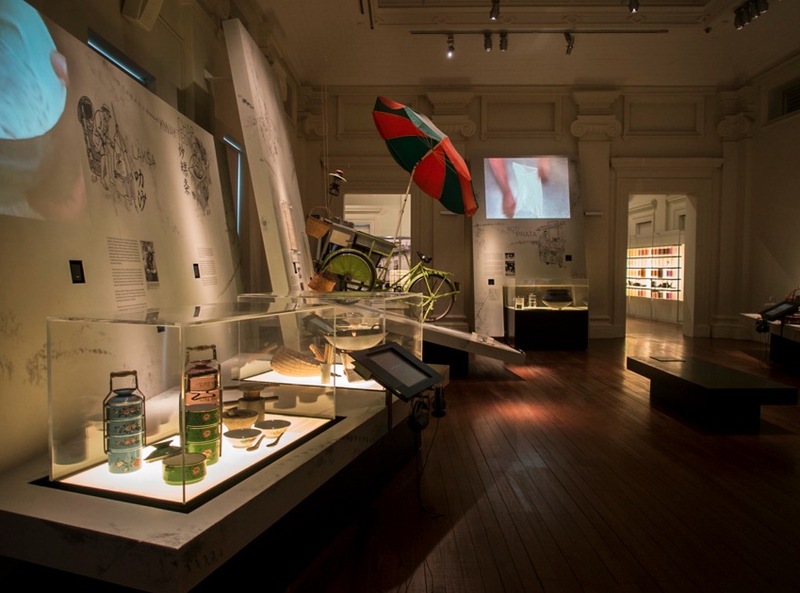 Alternatively or even in addition, visit the National Museum (93 Stamford Road, Singapore 178897), which is housed in a beautiful building built in 1887, and features 11 national treasures and showcasing Singapore and Southeast Asian history. I had a great time exploring the 2013 Biennale there! 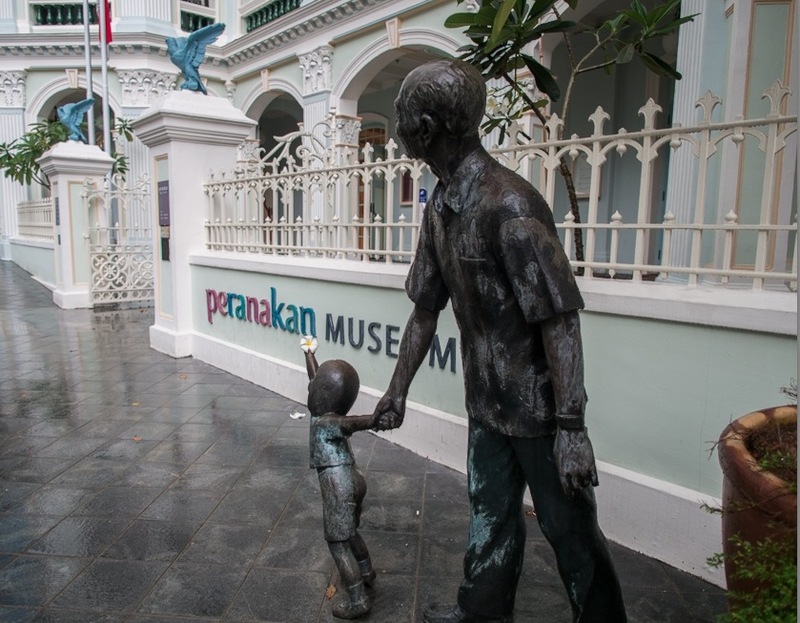 Also, given that you are in Singapore – you should visit the Peranakan Museum. 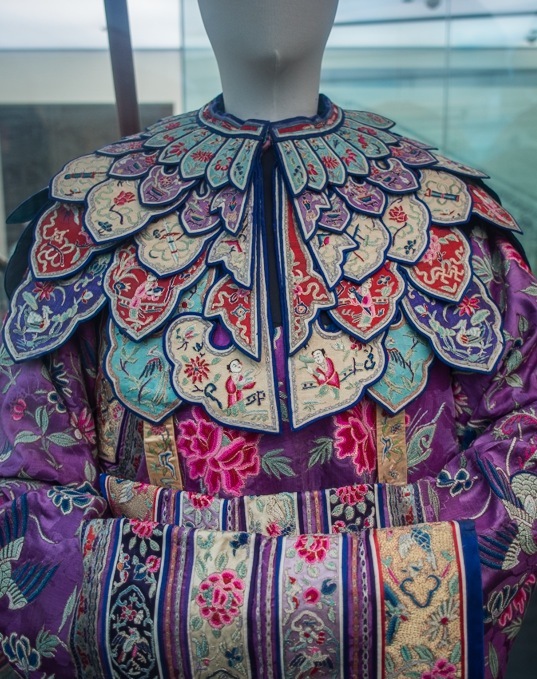 A sister museum to the Asian Civilizations Museum, it is the first of its kind in the world, that explores Peranakan cultures. 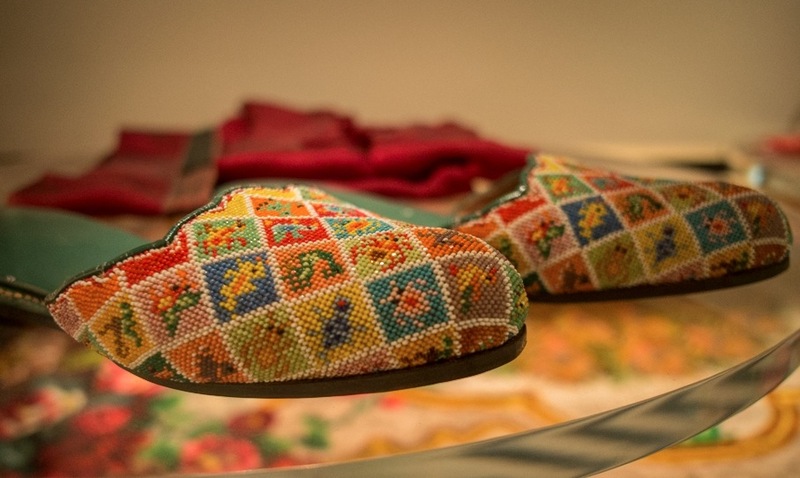 It houses the world’s most distinctive and comprehensive Peranakan museum collection of artifacts and wares – just go and have a look at the beaded slippers, they are mind-blowing beautiful. The Singapore Flyer might be interesting if you’ve never been on one (it has an overall height of 165 metres (541 ft) and is currently the world’s tallest operational Ferris wheel) but I’ve done the London Eye a number of times, so I gave the Singapore Flyer (30 Raffles Avenue, Singapore 039803) a miss. Instead, I went to the Merlion, for the obligatory picture. The Merlion is a mythical creature with the head of a lion and the body of a fish and used as the mascot and national personification of Singapore. 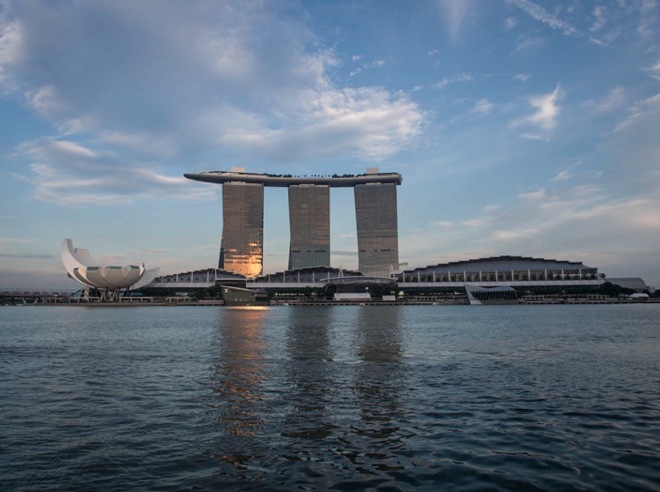 It is located on the front of Marina Bay just off the Fullerton Bridge (One Fullerton Square, Singapore 049213) and from there you can just take a ferry to Marina Bay Sands. 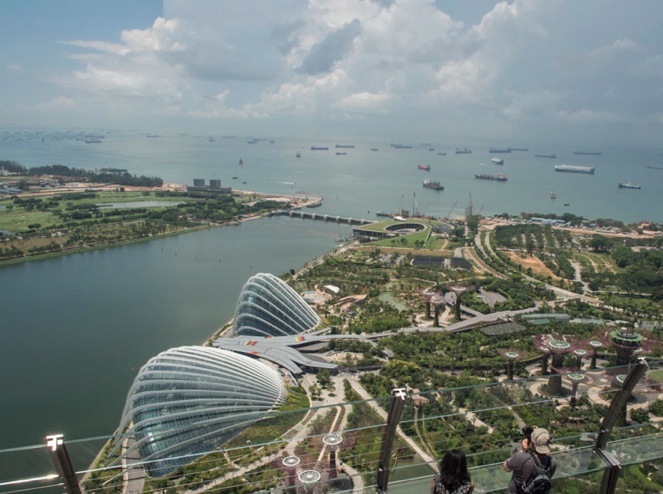 Go up to the Marina Bay Sands to SkyPark or KuDeTa (Marina Bay Sands, Tower 3 exterior, Porte Cochere area) and have a drink, accompanied by a stunning view of Singapore. 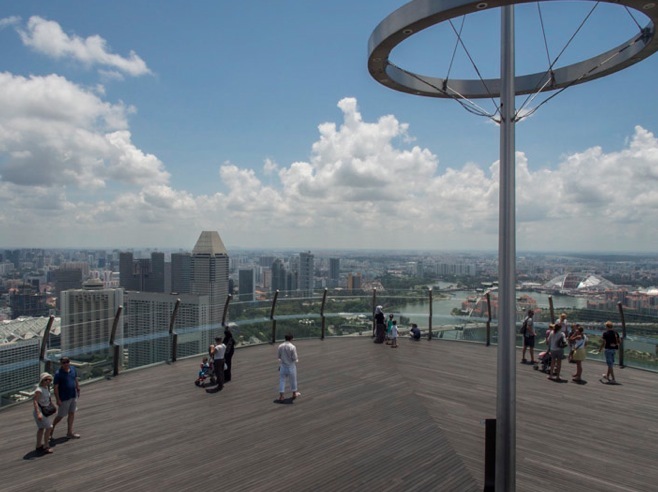 Do note that access to the observation deck is limited to the area above Tower 3. You can’t access the infinity pool unless you’re a paying guest of the hotel – which is a shame, but it is still a great visit that I enjoyed very much. 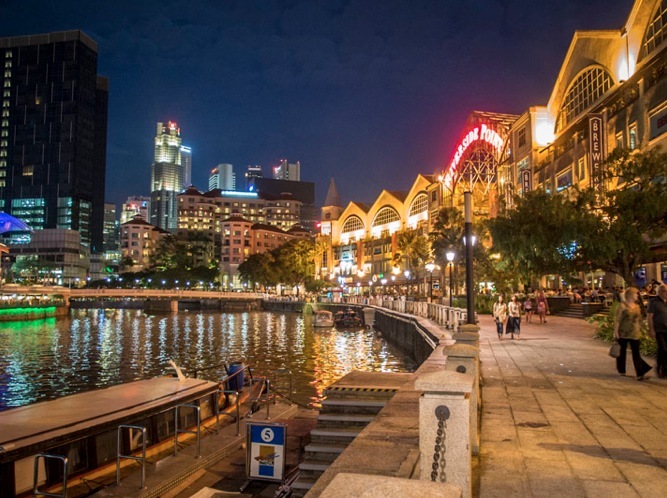 Then you could head for drinks at Robinson or Clarke Quay. 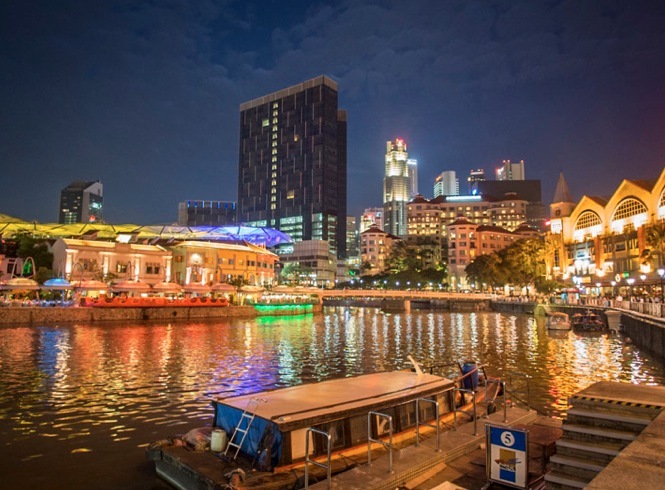 If you’re not thirsty, take a Singapore River Cruise — it’s touristy but worth it for the excellent orientation. …or if you are tired of the same old zoo experience you can visit the Singapore Night Safari (80 Mandai Lake Road, Singapore 729826). Take a tram-powered tour around the park and see over 1,000 animals from 115 species as they graze after dark. Once the tram ride is over take advantage of the numerous walking trails. The Night Safari itself opens at 7:30pm; last ticket sale is at around 11:15pm with the park closing at midnight. Easiest way is to take a taxi there. Finally, if you are still going – why not catch some live music at the Crazy Elephant at Clarke Quay (3 River Valley Rd, Singapore 179024) or at the Blu Jaz cafe (11 Bali Lane, Singapore 189848)? Both are free. Unfortunately I learnt too late that I should have tried breakfast at Saravanaa Bhavan at 84 Syed Alwi Road, a vegetarian restaurant that serves up outstanding dosa — enormous, yet light crepes served with a variety of savoury dips. This is on my list to try the next time! Singapore has probably the widest selection of Asian food anywhere on the planet – and you can savour it easily (and safely) from hawker stalls. You can try anything ranging from Malay dishes such as nasi lemak to local Chinese favourite Hainanese chicken rice, not to mention dim sum, dahl and Korean BBQ. 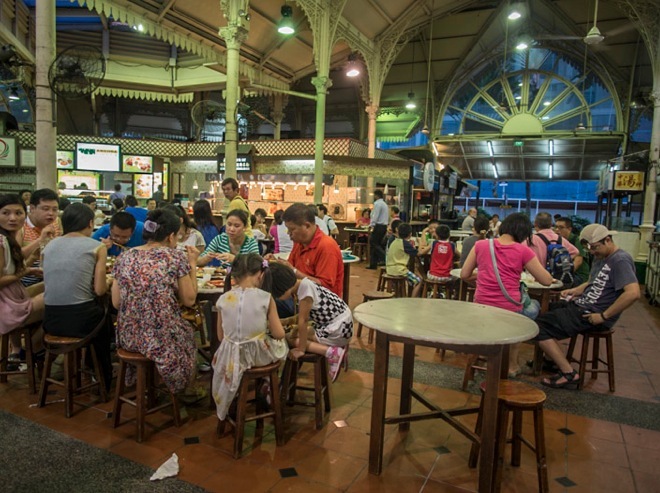 Locals go to places as Maxwell Road or Lau Pa Sat (the latter is currently closed for renovations – Lau Pa Sat, 18 Raffles Quay, Singapore 048582). Food for Thought in the National Museum (93 Stamford Road, Singapore 178897) had some great cakes – and judging from what the people ate on the tables next to us, they must also have fantastic brunch! Plus they serve salads and sandwiches so this is a great stopover during the day. For afternoon drinks you kind of have to visit the Raffles Hotel (1 Beach Road, Singapore 189673) – at least once. 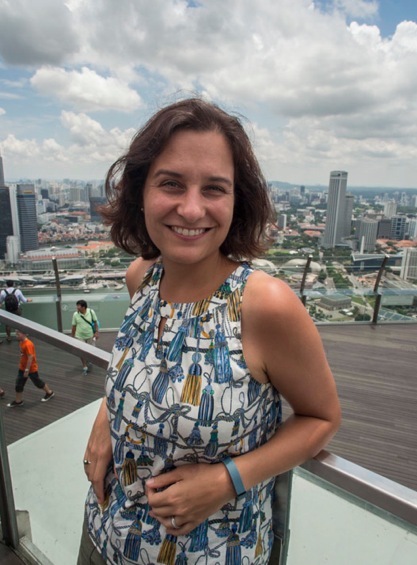 I know that the experience is touristy and overrated, but it is also such a typical Singaporean one that you should do it once in your lifetime (I already did it!). 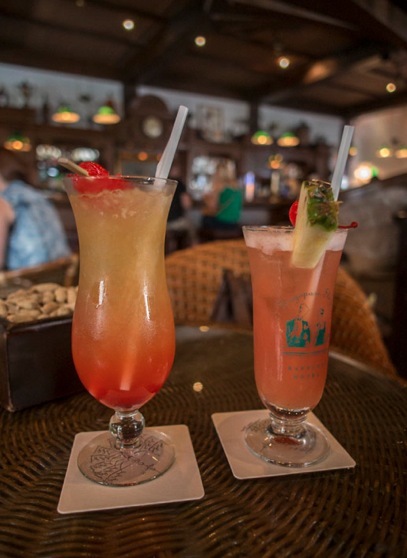 Order a Singapore Sling and then eat as many peanuts as you like, throwing the empty shells on the floor – it’s probably the only place in Singapore that littering is allowed! For dinner, grab a cab to Chijmes. This impressive former convent is now home to a collection of lively bars and a variety of ethnic restaurants, most of which have dining options in the open-air courtyards. They just closed at the end of January 2014 for renovations but I hope they will be back open soon. 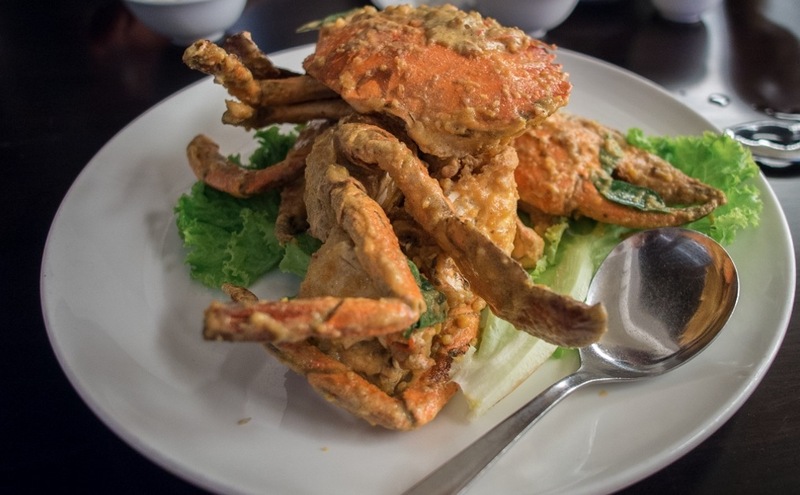 One of the traditional must-have dishes in Singapore is the chili crab and black pepper crab, and I have tried the No Signboard Seafood restaurant (6 Eu Tong Sen St, Singapore 059817 ‎) as well as the Red House Seafood (60 Robertson Quay, Singapore 238252). Both places serve great crabs! The Blue Ginger restaurant (97 Tanjong Pagar Road, Singapore 088518) is a classic for Peranakan dishes. It’s tiny, so book in advance. It’s easy from Hong Kong, you’ve got so much choice. A long list of airlines flies to Singapore, it all depends on the time of the day you want to travel and how much you want to spend. So far I’ve flown with Tiger Air and Singapore Airlines, both experiences were good. Tiger Air had a couple of delays (up to 90 minutes) so you get what you pay for. Singapore Airlines is more expensive but also much more convenient and with an amazing service. Just a shame that they ran out of a food option on a half-empty flight – but the crew was amazing in trying to make up for it, brining us extra drinks and snacks! Great post about Singapore, Ruth. 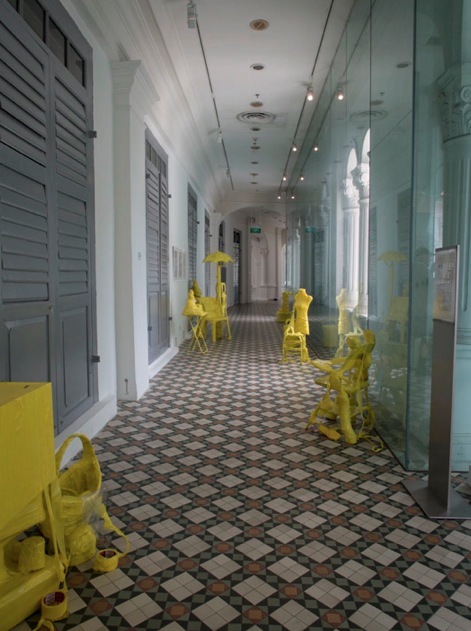 Your pics of the Peranakan Museum are beautiful. I really like that museum and it’s collection!. 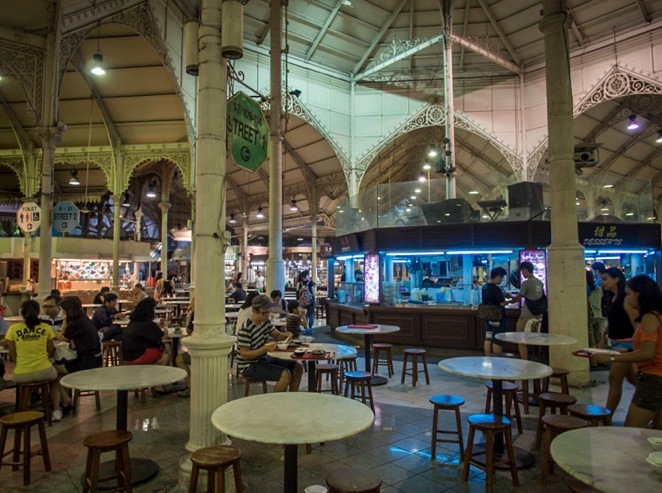 I have not visited Lau Pa Sat since it’s renovation, but it’s on my ‘list’;-).